Leech bites are like battle scars(light humour) which warriors get in a war. 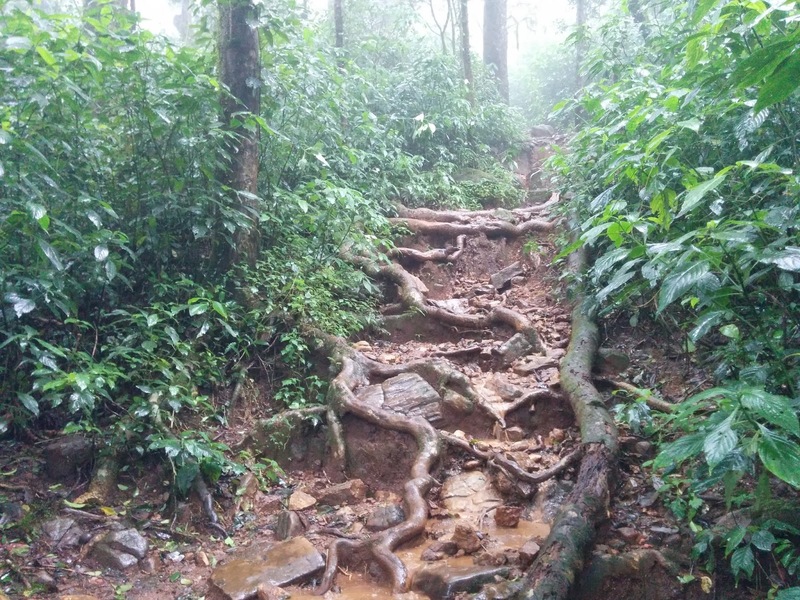 Leech bites are an irritation frankly speaking but they are an integral part of the monsoon trek in the Western Ghats. I had got three cool meaty bites upon closer inspection. I woke up to the pattering sound of rains. Everyone was in deep slumber, as they say, one gets excellent sleep early into the morning. 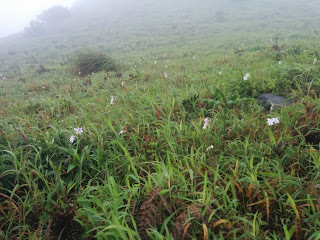 We were a group of 21 on a fast trek to Tadiyandamol organized by Bangalore Trekking Club (BTC). It is the highest peak in Kodagu district, the third highest in Karnataka. It majestically rises to an altitude of 1748m above sea level. My sleep was very fitful as I tried to experiment with all kinds of angles. I was glad that it was raining since Karnataka is reeling under severe successive droughts. 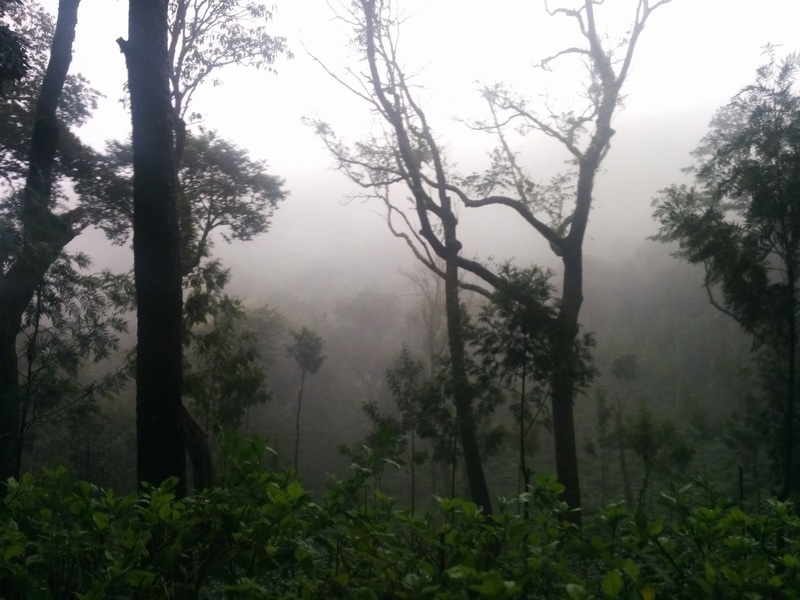 Monsoon treks are special due to several reasons- the monsoon experience itself, the fantastic views of clouds rising from the mountains and the leeches obviously. Tiny passing waterfall. Monsoon streams. Monsoon is HERE. We began our trek after a sumptuous breakfast. 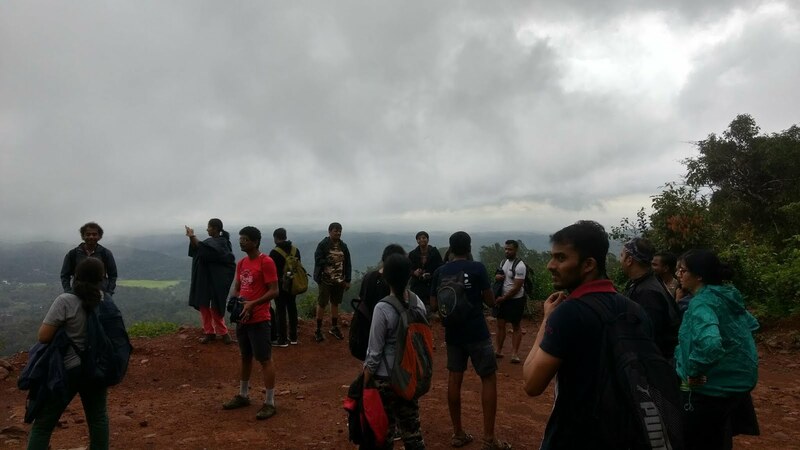 The beauty of going on treks with clubs such as BTC is that all like-minded people congregate and is also a totally non-profit trekking organization. Our initial part of the trek was on a broken tar road. The surrounding views were picture perfect with towering green beasts aka trees lining up both the sides. We could also see a vibrant display of several colored leaves as well. It’s the season of celebration of nature’s beauty, a carnival for the sing-a-song birds and finally a visual treat of nature’s beauty for all of us. Trees shrouded in mist. Will upgrade my cam. After walking for a good amount of distance and passing through few monsoon streams we came across a stunning clearing from where we could see the lengths and depths of the valley. We were told to enjoy this view as in the upcoming trek route the clarity of the view could be obscured. It was like the rain was being intermittently switched on and off. All of the 21 people were keeping up the pace with the team including a leader and sweeper. Leeches were going about their business but there few as the trail was pretty straightforward and not dense. 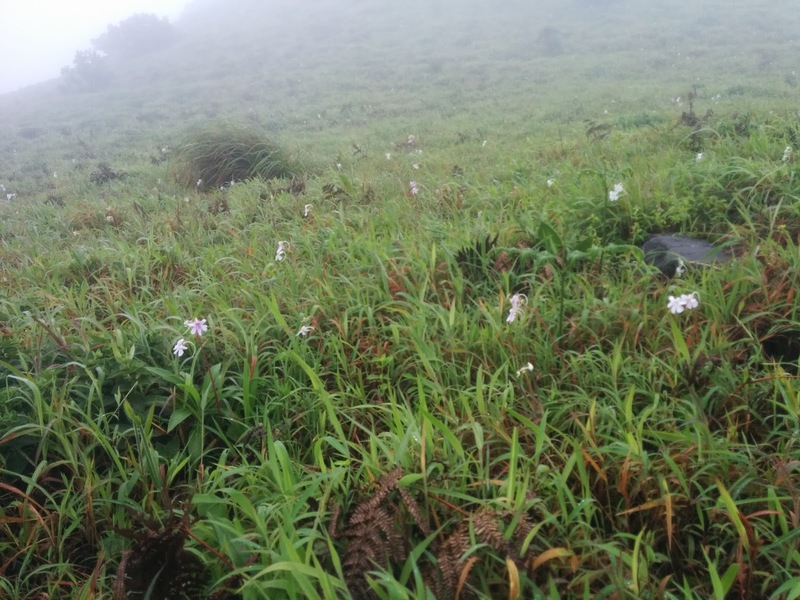 As we started the actual ascent there were signposts displaying the distance, also we came across tiny beautiful flowers spread across the grasslands with raindrops clinging onto them. We finally came across a clearing which meant that 75% of the trek had been completed. The weather changes pretty quickly over here, having said that within a few moments it started pouring, the heaviest we had come across since morning. The beautiful forest trek route. 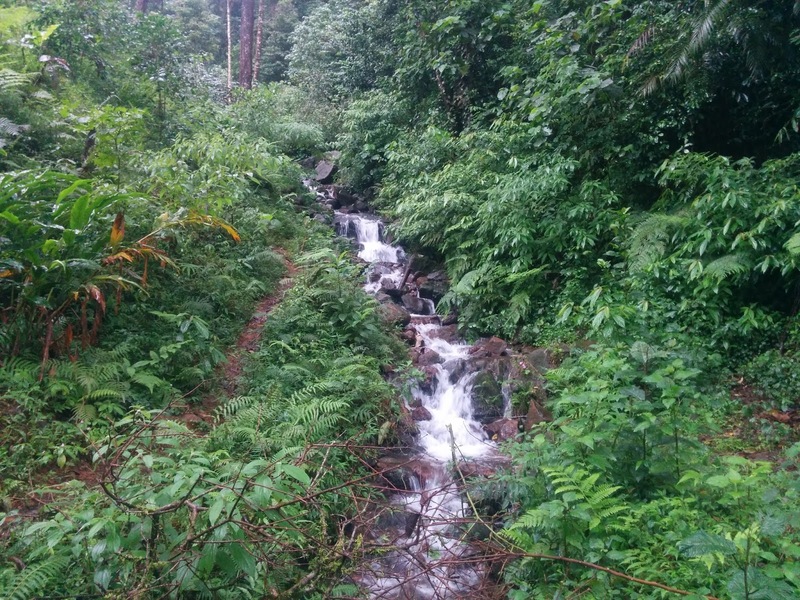 The following forest route became a tiered waterfall. Each part of the trek has its own magic. 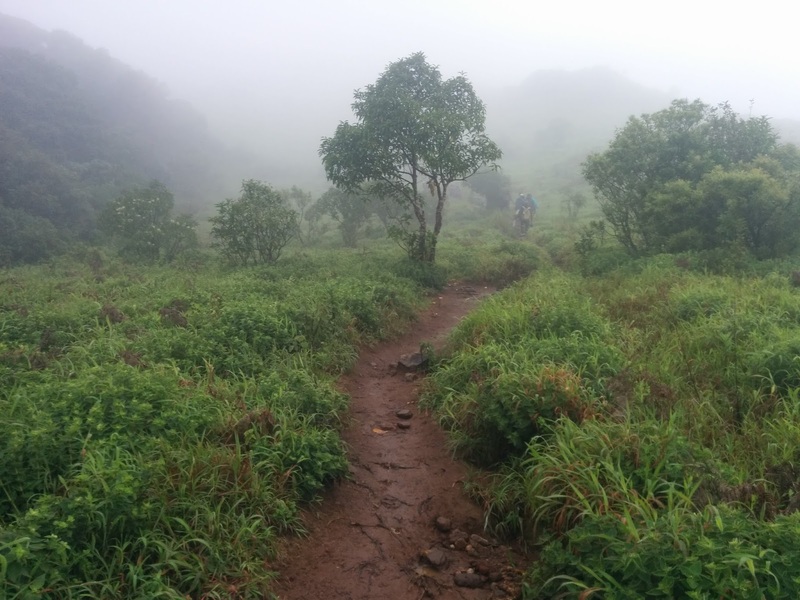 The grassland hike gives the mesmerizing views while the forest walks are a different terrain themselves. We had to climb up and up with rain streams rushing down our path. Finally, we reached the Tadiyandamol peak with absolutely no respite from the angry rains. We had a short stay at the top managing to take some pictures with all of us soaked to the hilt. After the descent, it was leech removal time. The trek was very well organized by BTC and my 2-year long wait for Tadiyandamol was finally satisfied. The path we took. Nature at peace with itself. The flowers. Not an expert with the names.